How old is your mattress? I probably shouldn’t admit that ours was over 15 years old until just recently. As much as I talk about the importance of sleep (here, here, here, & here are just a few), the importance of a good mattress just never popped up. I knew that I slept better in certain hotel beds, but I didn’t think our mattress was really a problem. Until we replaced our mattress last month. Apparently, your mattress makes a HUGE difference! Temperature “friendly” – I can’t sleep when I’m hot! 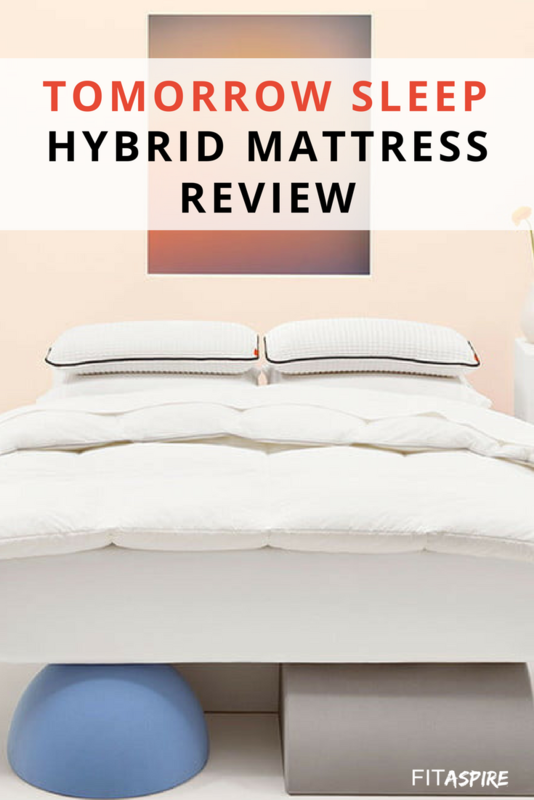 When I compared my list to what Tomorrow Sleep offers, they checked all the boxes and I agreed to try it out! Disclaimer: This post is sponsored by my friends at Tomorrow Sleep. Thank you for allowing me to continue creating great content for you by supporting partnerships with brands I love. As always, opinions are 100% my own! You can read my disclosure policy here. Tomorrow sleep is a startup company that is backed by Serta Simmons Bedding. They are the only “bed in a box” company that fully design and manufacture their own mattresses with the highest quality materials. Their mattresses are made from premium temperature regulating memory foam on top and stabilizing coils system underneath – creating a memory foam hybrid mattress that brings together the best of foam and innerspring beds. 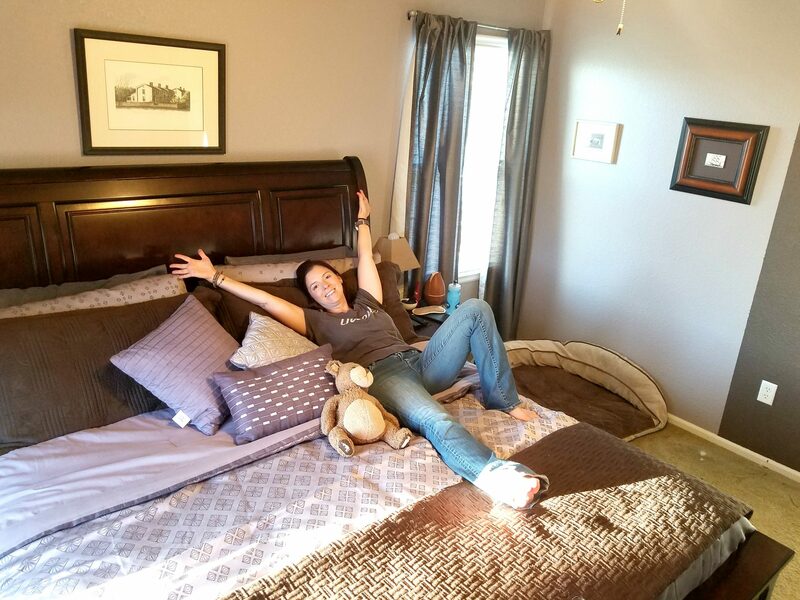 The bed is delivered in a small box – you’re not going to believe there is a full mattress in there! Even as we were unpacking it on the bed, I was sure they had sent me the wrong size. Once it was unpacked and returned to full size, it’s fuller than our previous King size mattress. Tomorrow Sleep offers a smart sleep system, with mattress pillows, sheets, comforter, drapes and a Sleeptracker. Tomorrow mattresses have environmental certifications that ensure they are safe and non-toxic. The foams are independently CertiPUR certified, so you know they are free from ozone depleters, PBDE flame retardants, mercury, lead, or other heavy metals, formaldehyde, and phthalates regulated by the Consumer Safety Commission. In my opinion, we spend too much time in bed to be sleeping with toxins! Our hybrid mattress and accessories were delivered in a series of boxes by FedEx. We used a dolly to haul the mattress box upstairs to the bedroom, as you want to unpack it directly on the bed. Once you take the mattress out of the box, it unrolls and unfolds in thirds as you cut into the plastic packaging. Once that first cut has been made, the mattress starts to unfurl & take shape. You can literally hear all the air rushing back into place after being so flattened in the packing process. We chose a medium-firm mattress, as we like a firmer level of support. When you sit on the bed, you sink in just a bit and then it supports your weight. I know many foam mattresses are hot, but this hybrid mattress is not hot at all! From a hot/cold perspective, it feels just like our old coil mattress. The new pillows are great, although I do wish they were a little thicker (I like THICK pillows), but they have been really comfortable. One side of the pillow is warmer and one cooler, so you can choose your preference. We also got the Sleeptracker, which has a tracking unit for each person in bed. There is a pad that fits under each side of the bed and plugs into a central until that is tucked out of the way under the bed. It connects to our wifi & tracks our sleep each night – there’s an app where we get a readout each morning. 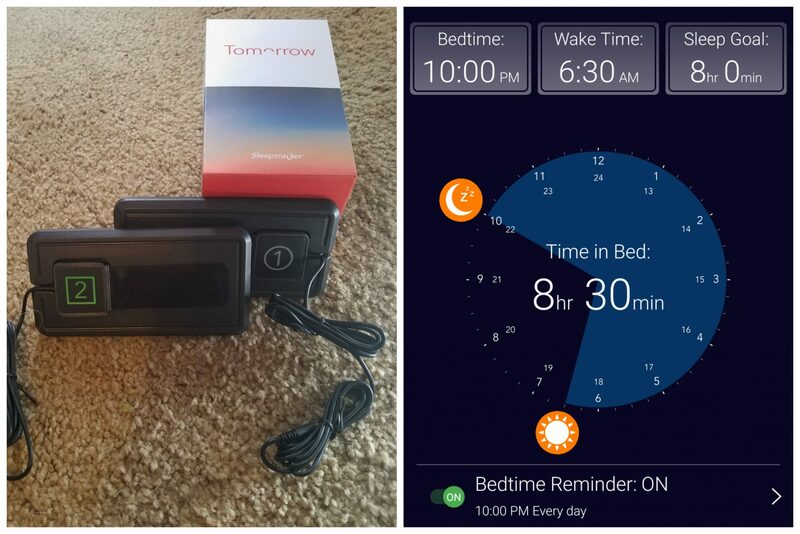 The sleep tracker is really interesting and gives great feedback on your sleep. 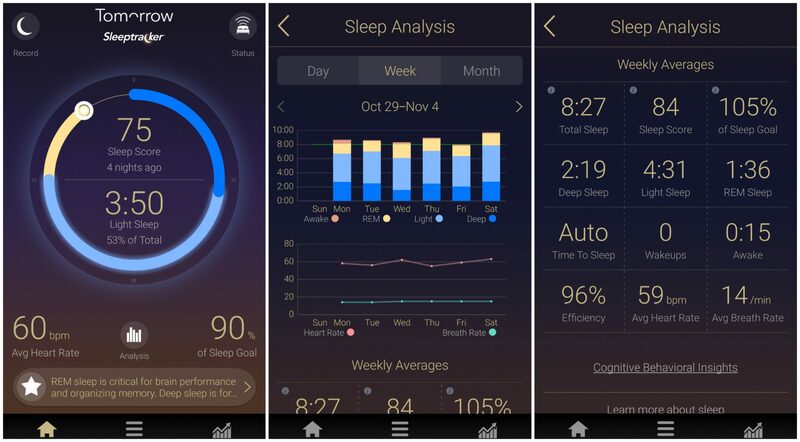 You can easily see how your sleep quality differs and look at how your sleep routine might be affecting your sleep. I don’t typically worry about nighttime eating, but I’ve actually noticed that my sleep score is higher if I eat over 2 hours before bedtime. So while it doesn’t matter to me from a body comp perspective, my body likes to have more time for digestion, I guess! I love how everything works together, we definitely have a smart bed! Since we’ve been sleeping with the Tomorrow Sleep mattress and pillows, both Kirk and I have woken up feeling more refreshed and clearer throughout the day. We even ran out of caffeinated coffee and I didn’t notice a difference in my energy level…Kirk had to tell me we had been drinking decaf. And when our senior dogs wake us up in the middle of the night, I actually fall back asleep much faster! It’s interesting how getting a new mattress has changed my outlook on hotels. I have been traveling quite a bit recently and I usually look forward to the comfortable beds at my favorite hotels. The downside of sleeping on the best hybrid mattress at home is that those hotel beds feel a little less comfortable now. I think it’s worth it to have my new mattress at home! If you’re looking for a new hybrid mattress, I’m very happy to share a discount for you to try Tomorrow Sleep for yourself! 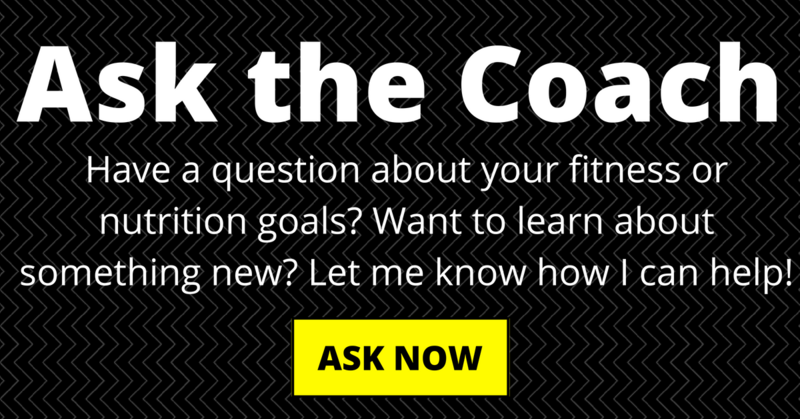 Use my exclusive promo code: FIT150 to save $150 off any $500+ purchase (expires 12/31/17). Visit the Tomorrow Sleep website to go shopping and redeem that code at checkout.